Looking for a fix of inspiration and motivation? Here are seven of the world’s most inspirational speakers – and what makes them special. An influential person is by definition someone who motivates, inspires or has the power to cause action. And influential speakers are people who are able to translate that power into an ability to convey their message and engage an audience with their words. It’s tough compiling a list of the world’s top influential speakers, as that list could be shaped differently depending on who the audience is, and what change is being sought. However, there are some speakers whose power, skill and reach is so great that they’d earn a place on a list regardless of the audience. Here are seven of the world’s most inspirational speakers – and what make them so special. There’s a reason Barack Obama is among the highest paid speakers in the world and it’s not just due to his level of credibility and fame – though of course, they play a huge part. The former US president’s back story, his achievements and experiences mean he was always going to be able to cash in with a lucrative career as a motivational speaker. However, the power of his speaking credentials was established long before his presidency began. Indeed, it was likely part of what got him elected. A Forbes article Barack Obama: A master class in public speaking argued his proficiency relied on his use of concrete language to paint a picture with his words, repetition for emphasis, use of hand gestures to punctuate sentences and engaging voice control – slowing down, speeding up and changing volume to make his point. Barrack Obama isn’t the only person in his family able to inspire and influence through his speeches. His wife Michelle also more than deserves a place on this list, thanks to speeches like these. Authenticity – Michelle Obama manages to deliver prepared speeches with genuine sincerity and emotion. She clearly believes in what she’s saying – and the audience believes her as a result. Her eyes are on the people, not prompters – the teleprompter acts as a guide, not a crutch for Michelle Obama, leaving her free to genuinely engage her audience with eye contact. Confidence (not cockiness) – audiences love a confident speaker, but are turned off by cockiness. 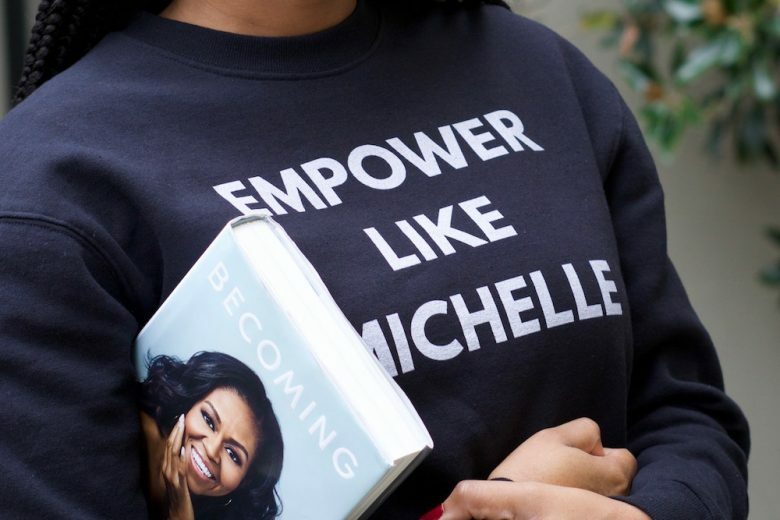 There’s a fine line between the two, but it’s one Michelle Obama treads perfectly. No list of inspirational speakers would be complete, for us, without the inclusion of Maya Angelou. While Maya Angelou is best known as a poet, author and activist, she was also an inspirational speaker and teacher. Here are some of her most powerful speeches. Maya’s ability to use words to move and motivate people, coupled with her own generously shared life experiences and lessons has ensured that her lessons and legacy live on just as strongly after her death. Anyone with a working knowledge of current motivational speakers will have heard of Tony Robbins. As an entrepreneur and best selling author he has forged a niche as a life and business strategist and ‘empowered more than 50 million people from 100 countries through his audio, video and life training programmes,’ according to his website. He is also the star of one of the most watched TED talks of all time ‘Why we do what we do,’ which has 23,803,550 views. His top tips for public speaking summarise what he believes to be key to success. They include self belief, visualising the outcome, building rapport with the audience and being energetic and charismatic. More than 100 years since his birth and six years on from his death, Nelson Mandela’s right to a place on a list of top influential speakers is still unlikely to be challenged by anyone. His most famous speech ever is probably the one given from the dock in court in 1964 just before being sent to prison in which he demonstrated the power of sincere passion and devotion in public speaking. Footage of him speaking and transcripts of his words remain as powerful today as they ever were. Having changed the world with the creation of Microsoft – a company that has penetrated the lives of people worldwide, Bill Gates famously turned his attention to philanthropy in 2008. Time magazine once said of him: “When Gates looks at the world, a world in which millions of preventable deaths occur each year, he sees an irrational, inefficient, broken system, an application that needs to be debugged. His annual letters with wife Melinda are just one example of his influence and focus. And his Harvard speech has been described as both ‘funny’ and ‘motivational’. As the face and driving force behind the highest rated and most watched show in American TV history, Oprah Winfrey’s success is undeniable. A TED blog once analysed why her talks were so successful. It concluded she achieved a strong opening, alternated between ideas and anecdotes, had unique delivery and insight and invited the audience to think and to feel – the key to achieving influence through speech.